The Official Website of Elena Maria Vidal | Coming in October 2014! The Paradise Tree, by Elena Maria Vidal, author of Trianon: A Novel of Royal France and Madame Royale, among other titles: The Paradise Tree grows from the maxim “in every Eden, there dwells a serpent . . . ” The year is 1887 in Leeds County, Ontario. The O’Connor clan is gathering to mourn the loss of its patriarch Daniel O’Connor, an Irish immigrant. The story of Daniel and his wife Brigit is one of great hardships, including illness, ill-starred romances, war and political upheavals, as well as undying love and persevering faith. As Daniel is laid to rest, his grandson Fergus receives a piercing insight into what his own calling in life will be. The Paradise Tree will be available for purchase via Amazon or www.mayappleboooks.net or at this website on October 5, 2014. Daniel was born in 1796 at Togher parish in Dunmanway, County Cork, Ireland, the son of Michael and Joanna Ronan O’Connor, one of nine children. 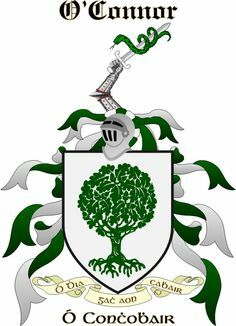 Descended from the High Kings of Ireland and the Lords of Connaught, they were a branch of the O’Connor clan known as the “Kerry-O’Connors.” In the high middle ages they migrated from Roscommon to Kerry; some went on to Cork to aid the McCarthys, then the Lords of Munster, in their perpetual fight with the Normans. Cork was known as the “rebel county” and, at the time Daniel was born, was the site of many insurrections against the tyranny of English rule, which forbade the Irish Catholics the open practice of their religion. Due to the harsh penal laws imposed in 1695, Catholics could not own land, hold a public office, or receive an education. 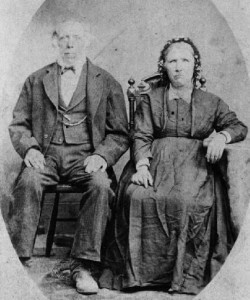 The O’Connors defied the laws to the best of their ability, and, according to Daniel’s daughter Ellen, he and all of his siblings received “a liberal education” in spite of the prohibitions. 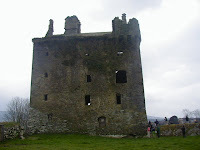 The O’Connor family lived about a stone’s throw from an old tower called “Togher castle.” It had officially belonged to the McCarthy clan but according to family tradition the O’Connors lived in the castle at one point. Perhaps they held the old keep in fealty to the original owners, or perhaps resided there as in-laws, since there was a great deal of intermarrying between the two clans. At any rate, they were all thrown out of the castle by the English in 1688 and reduced to a state of servitude. Daniel was trained as a blacksmith, and since it was the blacksmiths who set broken bones in those days, I wonder if it was his skill at mending injured limbs that led him to want to be a doctor. He studied medicine under a physician in Cork City, but alas he was never certified, probably due to lack of money. There was a series of potato crop failings and famines throughout the first half of the nineteenth century, culminating in the Great Famine of the 1840’s. Many Irish Catholics found it impossible to ever get ahead. Mother and he used to take a child a piece on horseback…when a priest had a station in Kitley which was very seldom, they rode on horseback to have their children christened….By good examples, good books, and constant admonishing to their family they kept the light of faith burning in their children. How often Protestant ministers were invited to come partake of father and mother’s hospitality in order to discuss religious questions to point out to his family the truths of our holy religion. 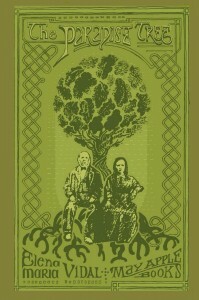 No church, no school to send us for instruction, that, my dear, is the faith of our dear old Irish parents. My dear children, it is superfluous for me to admonish you as respects your moral and religious duty. For, thanks be to God, you did not neglect your instruction under your paternal roof. I pray to God to shed His grace unto your hearts to practice faithfully the duties of His religion. You will be saved not only because you are Catholic but when you are a true and pious one. Let not weak and silly minds persuade you that that this is an unnecessary thing to engage in exercise of piety…. Education as well as faith w as paramount to Daniel. 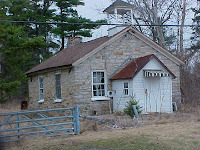 Donald Harman Akenson writes in his study, The Irish in Ontario: “in the rear of the township on Long Point, Daniel O’Connor, a large Catholic landholder who was recognized as the squire of the area, built a first-class stone school which became part of the common school network.” (Akenson, p.276) Daniel eventually gained the respect of his neighbors and was appointed the first Irish Catholic magistrate in the County of Leeds. While serving as juryman in Brockville, the county seat, he was responsible for abolishing customs which were prejudicial to Catholics. Of the deceased it may be truly said that his faults were few and his virtues many….Upright and honest, a true-hearted Irishman, he leaves behind him memories which link his name to the true and trusted who have gone before. His death was more the result of the natural decay of old age more than actual sickness. And he died fortified by the sacraments of the church, in peace with himself, in peace with his fellowmen and in peace with his God. Visit our Pinterest page, HERE.